It's the little things in life that can make your day. Last week I took my Mom to get a new phone. It was time for an upgrade for both of us so we headed to the AT&T store to see what deals we could find. I of course had done some extensive research on the new iphone that I had to have. About that time, my good friend, Jen Lee happen to pop in and caught me negotiating BEHIND the counter on THEIR computer. :) I ended up getting a good deal on Mom's phone as well. No, she did not get the iphone...she is strictly a 'phone-only' chick. Later that day Mom called to say she had something for me. 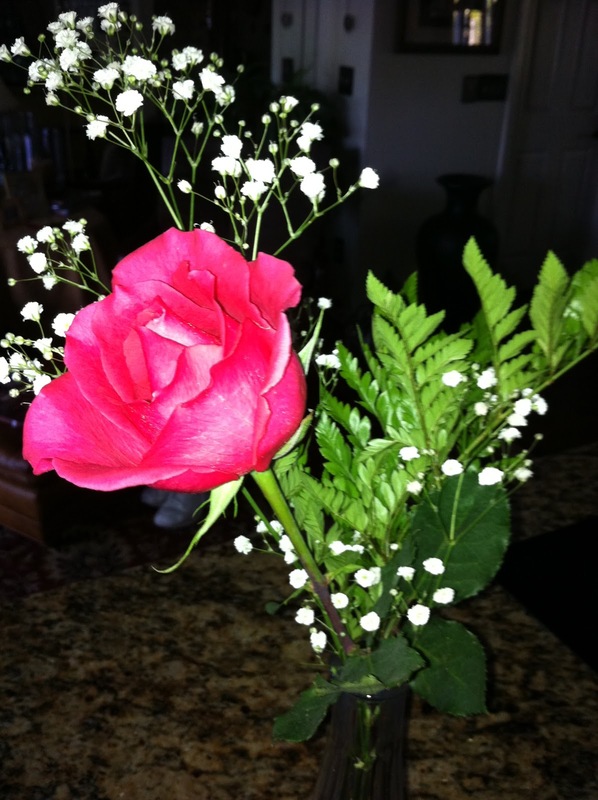 When she arrived at my front door, she had this beautiful rose in her hand. I loved it so much I took several photos of it. This beautiful rose (displayed in this post) now lives on as the wallpaper on my iphone. The bottom line is this little rose not only made my day but added a nice touch in my home. It's those little touches when redesigning your home that can make a big difference. Its a wonderful Blog.Creating a Home Stage home home can be a creative process as well, and many people find they enjoy it once they’ve begun.